It is the main hub of Fiji Airways and its domestic and regional subsidiary Fiji Link. The airport is 10 km from the city of Nadi and 20 km from the city of Lautoka. In 2014, it handled 1,984,898 passengers on international and domestic flights. It handles about 97% of international visitors to Fiji, of which are 85% tourists. 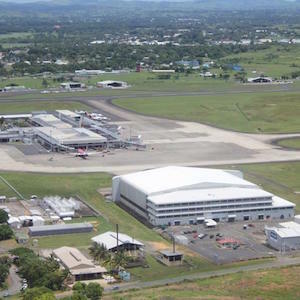 Despite being Fiji’s main airport, it is quite far away, about 192 kilometres (119 mi) northwest of the country’s capital Suva and its airport, Nausori International Airport (Courtesy of WikiPedia). This is a scenery package as real as the real one. This version is for X-Plane 10. Actually, it was tested in X-Plane 10.42 in Windows 64 bit.